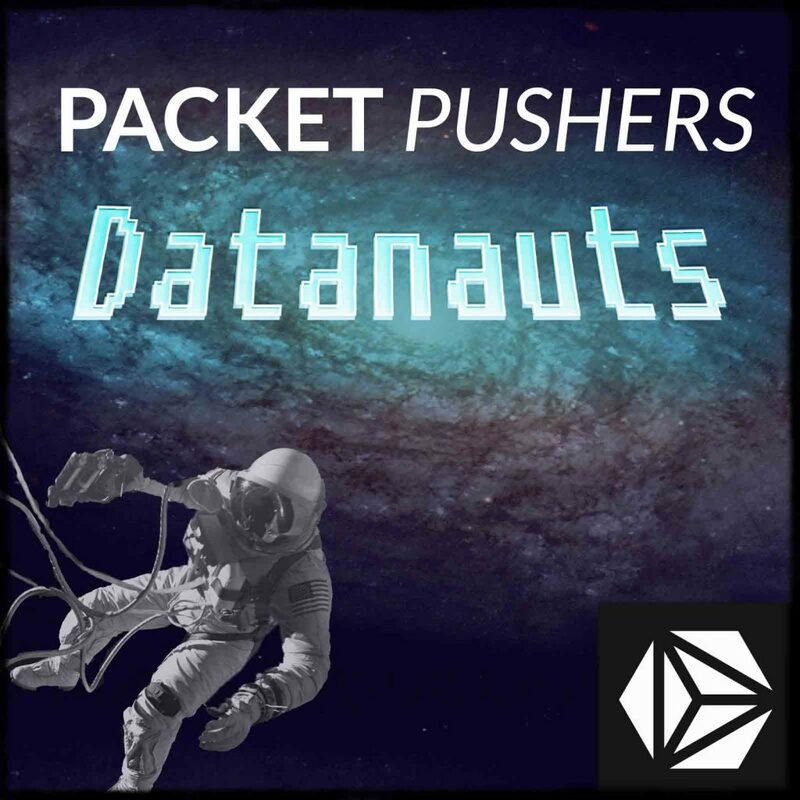 The Datanauts explore the data center fabric to find out what this whole leaf-spine thing is all about. What is a leaf-spine network? How does it work? Why is it a good fit for modern data centers? How is it different from traditional 3-tier architecture, and what’s driving this change? Join Chris Wahl, Ethan Banks, and Drew Conry-Murray as they delve into Clos networks, fabrics, and real-life impacts of the leaf-spine design. Athenahealth is hiring for a wide range of technical skillsets in several locations in the U.S. Positions include Linux Administration, Windows Administration, Network Engineering, Telecom Engineering, Information Security Engineering, Database Administration, Web Operations, NOC, Systems Engineering and Incident Response. Go to www.athenahealth.com/careers. Athenahealth connects care nationwide with cloud-based services and mobile tools for medical groups and health systems. With a network of more than 59,000 providers, athenahealth is helping providers thrive through change an focus on patient care. The company was named Best in KLAS #1 Overall Software Vendor in 2013. Viptela’s hybrid SD-WAN technology unifies your MPLS, Leased Line and Internet-based WAN infrastructure. It’s packaged with centralized administration, real-time visibility, and policy control for precise and measurable application performance. We’re recording a live Packet Pushers Podcast with Viptela at the ONUG conference this November. Join us November 4th to meet the Packet Pushers and hear from Viptela customers about real-world SD-WAN deployments. What do most data center networks look like today? Is this bad or good? Why would we care about this? Why do network engineers seem to hate spanning tree? What is leaf-spine all about? What are the major types of fabrics deployed over leaf-spine? How big does a leaf-spine need to go? How do network engineers figure out acceptable oversubscription ratios? through a pair of switches? But let’s say you need to really crank it up? From the perspective of the spine (core?) switch. What happens when the spine has been exceeded in a 3-stage design but you need more access ports? You build unique 3-stage Clos fabrics and interconnect them. You go to a 5-stage design. What is the major benefit applications experience from leaf-spine? How does a leaf-spine connect to a legacy network? How are workloads secured in a leaf-spine design? Would a virtualization or server administrator be involved with this design? Silo busting – is this a migration, a greenfield opportunity, or something in between? Enabling multicast will ruin most good network designs. Oh well at least Trill is still on the table. in a Clos spline design I have read that spline switches are typically not connected with other spline switches. Is there any communication requirement between splines switches? If so is this taking part via the leafs? Correct – in the idealistic implementation of a Clos topology, spine switches are not connected to other spine switches, and leaf switches are not connected to other leaf switches. Spines do not forward traffic between each other. Spines are always forwarding traffic between leaf switches, so there is no reason for them to peer with one another. Connecting spine switches to each other would use expensive ports that are far more useful as uplinks to the leaf layer. This makes sense if you consider that all leaf switches are plumbed to all spine switches using an equal numbers of links that are all the same bandwidth. This also assumes that all hosts are plumbed to the leaf layer — no hosts plugged into spine switches. With those assumptions, there is never a situation where a spine might gain a “better” forwarding path to a host via another spine switch. The next hop will always be an ECMP via a leaf switch (or two). Now, there are exceptions for specific scenarios, and I recall a vendor recommendation for either a leaf-leaf interswitch link or spine-spine interswitch link. But, I’m not remembering the specifics that drove that recommendation. It had to do with a very particular kind of network failure coupled with their particular kind of traffic. One point I wanted to verify, though, is where Chris mentioned that in the classic 3 layer model, spanning-tree is shut off on the access ports facing his ESXi hosts. Isn’t it more likely that the ports would have portfast w/ bpdu guard enabled just in case those wacky vmware hosts started bridging frames? I would be afraid to actually turn off spanning-tree. Nick, I’d have to go back to listen to the show, because I would have shared the config that you just did if it registered with me that we were discussing disabling STP on physical switchports. My strategy on the physical uplink ports to VMware hosts has always been to do exactly what you describe – spanning-tree portfast with BPDUguard enabled. Since virtual machines running Linux, Windows, etc. have the ability to bridge traffic if configured to do so, I want the physical switch to kill the loop to minimize the fallout. Without actually listening back to the show, I do remember a section where we were talking about the vSwitch, and the fact that it does not run spanning-tree at all, as it’s not a traditional learning bridge. It only forwards to known destinations, is isolated to a single host, and isn’t part of a hierarchical tree structure like a cabled group of physical switches is. In any case, sorry if we let something through and introduced confusion. so Ethan, what exactly is the differencw between leaf and spine and hub and spoke? In leaf and spine design, can we gave two more layers between leaf and spine layers? If yes, what would be the rationale behind it. Please help to understand. How can we manage the spines as a line cards in a stack or virtual-chassis, rather than individual units?